In HiRUM select the Units icon. Select the unit that you would like to make available for online bookings and click on to the change button. From here the unit details will be displayed. The unit number and address details are displayed on the left and to the right you will find an option asking Used for Online Bookings? If you wish to make this room or unit available to HiSITE then simply tick this option and then click on to the okay button. This will make the unit class ‘green’ on the unit list. 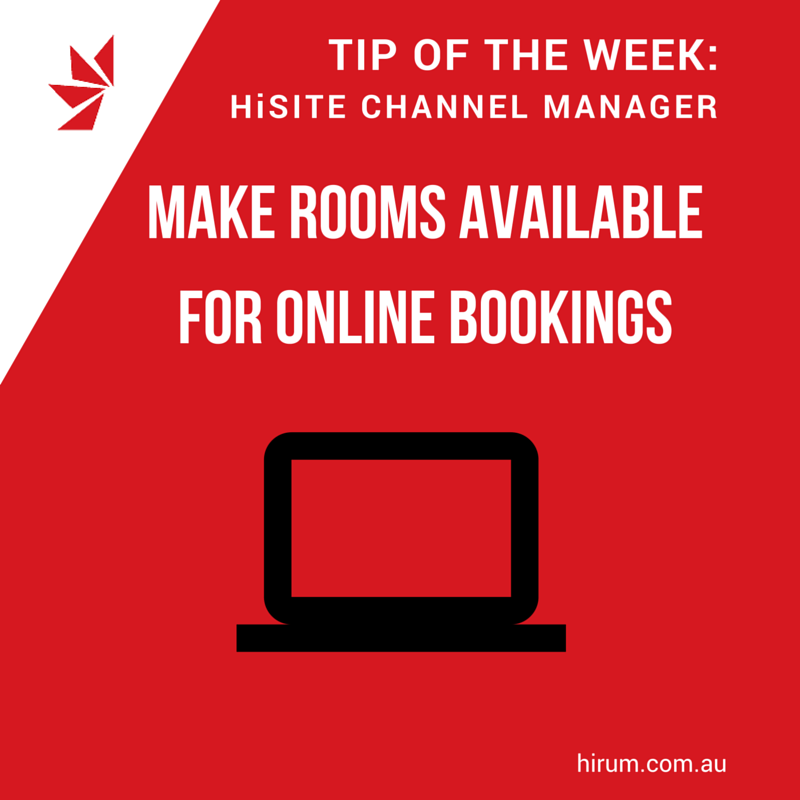 When you tick or untick a room for online bookings it doesn’t instantly update your HiSITE. You will need to use the ‘Export Availabilities’ facility in HiRUM to do this. Click on to the Utilities icon, and then select the icon HiRUM Online Reservations icon on the right hand side, Then click on to the ‘Export Availabilities’ button and after about a minute the availabilities will be updated in HiSITE.